I've pointed out how poorly foreign language films are translated into English. Not so much translated as re-badged. As a student of French, I notice it mostly on French titles. Entre les murs became The Class which I find quite bland and lacking in the poignancy of the literal Between The Walls. Just last night I posted about Non ma fille tu n’iras pas danser renamed Making Plans for Lena, which has nothing on the literal No My Daughter, You Will Not Dance. Given Lena's relationship with her father and given the way her life is unfolding, the literal meaning is so much deeper. Another French Film Festival title I mentioned was Jusqu’à toi (literally, To You) which is renamed Every Jack Has A Jill for us Anglophones. How they come up with a cutesy English title like that is beyond me. It's just so cute without bearing any (or little) relation to the film. "To You" doesn't give much away, I suppose. Perhaps it doesn't titillate the mind of the target audience like "Every Jack Has a Jill". One of the worst cases of title bastardisation I can recall is Catherine Breillat's À ma soeur (For My Sister) being renamed as Fat Girl, a title that makes it sound like it's a silly romantic comedy rather than the serious drama it is. I suppose I'm a purist, and I prefer to use either the original title as intended by the film-maker, or at least a literal translation. It's all about respect for the art and the artist. With the French Film Festival currently in full steam (and I've seen 17 of the films so far), it's not unusual that I'm thinking about this. But what prompted this post was the recognition that this renaming is not a phenomenon that is unique to English bastardisation of foreign titles. Balibo has been renamed The Balibo Conspiracy for overseas distribution. 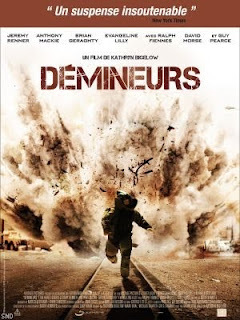 And, The Hurt Locker has been translated into French as Demineurs, literally Bomb Disposal Experts - pretty bland and generic, I suppose, compared to the original title. I noticed it in an email from French Amazon, which I subscribe to. While I prefer the English title, I've got to say that the French artwork is a big improvement on the American. That one big single image says it all with impact, and even the colouration is quite fascinating. The American version disperses the impact, trying to have bit both ways - explosion and the GI Joe aesthetic with Jeremy Renner in the foreground. But, I digress. Back to renaming - what about you, do you have any weird renamings you'd like to share? 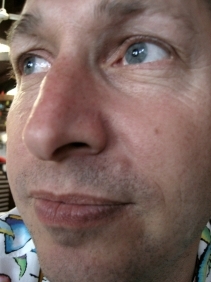 Paul, I think span comments above me! I think the problem with French subs is that they are made by the French. Have you noticed similar bad translations on SBS as they insist on doing their own subs and not using overseas subs for this reason, I imagine. Spam gone. I don't know why they bother - it's like someone scrawling someone else's phone number on the wall of a public toilet. As if anyone's going to call, other than as a joke. My point above was not really about sub-titles. My French is pretty elementary, but I do detect differences between what is spoken and what is written. I don't really have a problem with that so much as you get lots of visual cues even without looking at the sub-titles. The point of the post is really more to do with the branding or marketing of a film. The title conveys something and in my examples above, I feel something is lost in translation, so to speak. From memory 'A Ma Soeur' was released at the Lumiere Cinemas in Melbourne under the title 'A Ma Soeur', not 'Fat Girl'. Paul, you're probably right about À ma soeur. I thought it was marketed locally as For My Sister though I have clear recollections of being aghast at reading an article in The Age which referred to it as Fat Girl, the title it was released as in the US. I suppose you hear this a lot, Paul, but I miss the Lumiere. I used to dream of resurrecting it, but I don't and didn't have the means. What are you up to these days? "Fat Girl" (in English) actually was the title Breillat originally intended for the film -- it was changed at the last moment before the French release. But the kind of thing you're talking about happens all the time. The worst recent case I know of was Sophie Fillieres' excellent Un chat un chat, which screened at MIFF last year as Pardon My French! I'd like to know what bright spark came up with that one. 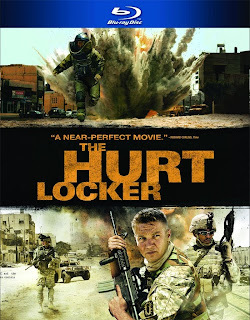 Well, The Hurt Locker in Spain has been translated as: En Tierra Hostil (that is: In Hostile Land). The translation of titles is tricky and often outright wrong. In Hostile Land? Who thinks these things up? Presumably the local distributor. FWIW, though it's a completely different meaning, I like it. Those other Spanish titles are quite amusing - I'm liking this.